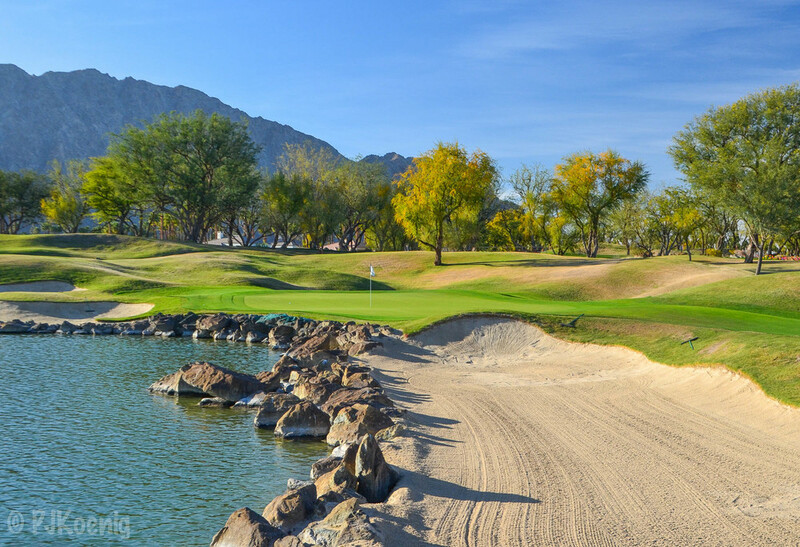 PGA West - La Quinta, CA — PJKoenig Golf Photography PJKoenig Golf Photography - Golf Photos For Those Who Love The Game. 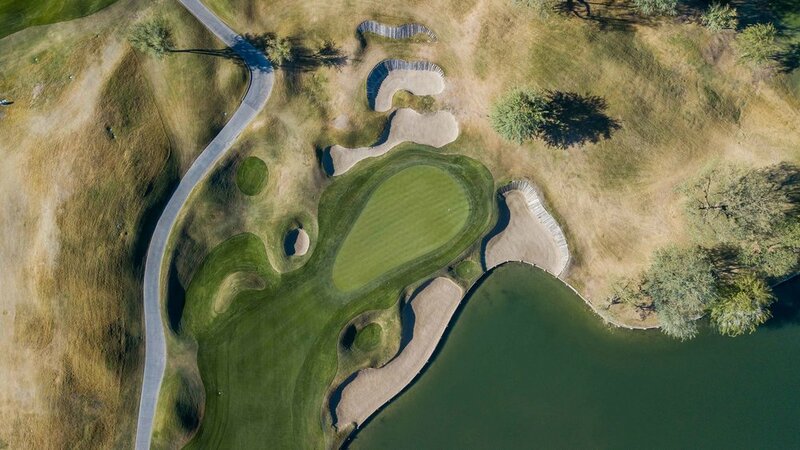 The Stadium Course at PGA West is a Pete Dye design which becomes painfully obvious on about the 4th hole. After a brief warmup period, water and trouble come in to play on just about every other shot. 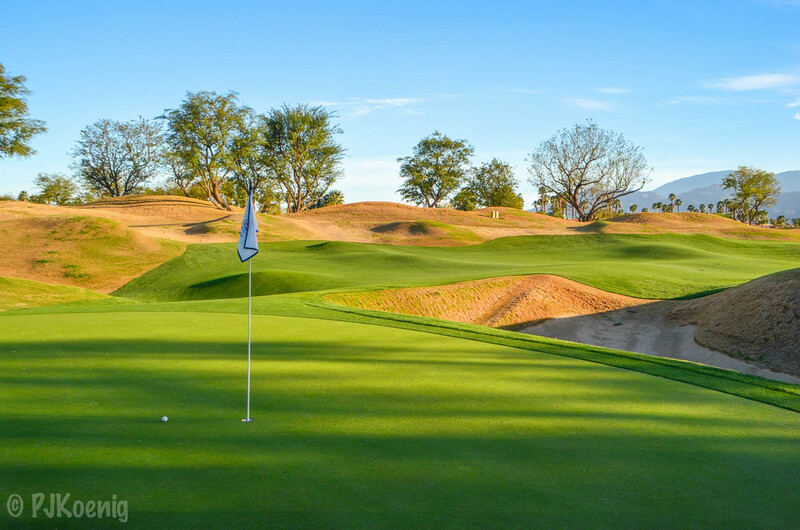 Pete Dye has a fantastic way of getting into a golfer's head and he certainly shows off that skill here at PGA West. The course has played host to a number of PGA events over the years and until 1998 was host to the PGA Tour qualifying school finals. 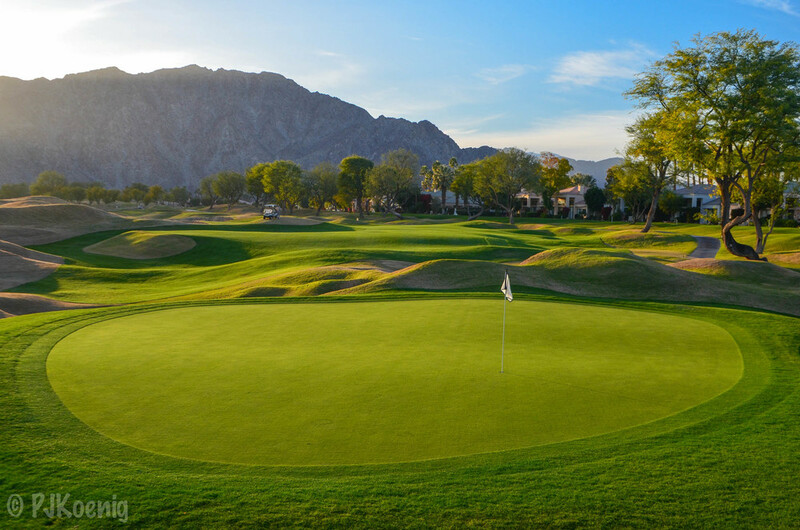 Most notably, PGA West has long been known as the course that was "too tough for professionals." After making it's first appearance as a tour stop in 1987, tour professionals refused to return in 1988. They even signed a petition to have it removed form the rotation because of it's difficulty. 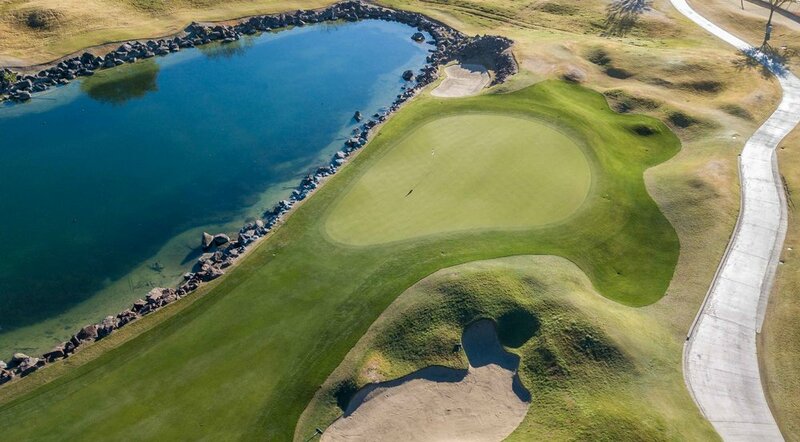 The course's signature hole is the 17th, an island hole aptly named 'Alcatraz'... Just imagine the nerves on this tee shot for those with a slim lead looking to earn their PGA Tour card. Fortunately, the sun was smiling on me this fine February day in 2014 and I managed a pain free 74. The big moment of the round was facing the 6 footer for par to "Earn your PGA Tour card" on the 18th hole. As the sun set on a fantastic day of golf, I rolled that putt into the back of the cup and reveled in make believe glory.